The video also highlights Metrobus, a bus rapid transit line, which has significantly reduced the amount of travel time for its passengers and has cleaned the air in the city. 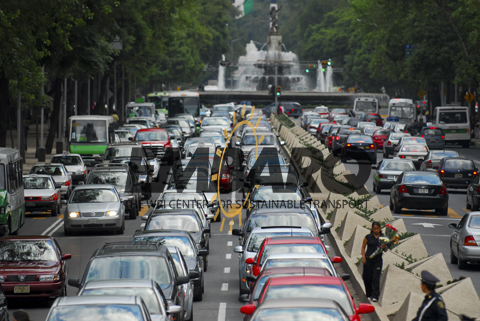 Although the first line was built under the previous Mayor, Manuel Obradar, Marcelo Ebrard plans to extend it to 10 lines, and has already broken ground on two of these. 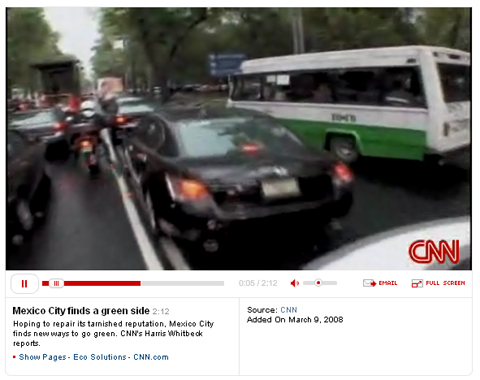 These achievements are part of his “Plan Verde,” an ambitious plan to make Mexico City an environmentally friendly city. They’re also an important indication that Ebrard is more that just giving lip service to the environmental movement. After all, even the Mayor rides his bike to work!